I just joined for the first time, and I’m stuck in some sewer room. What do i do? This is the starting room of Atlas, meant to teach the most basic (yet important) feature of the server: how to talk to NPCs. Approach the Image of Ajaxan NPC and right-click him - this will start a conversation, which will ultimately get you past this first room! A “Non-Player Character”: In-game entities that players can interact with, but are programmed to react in a limited number of ways. How do I talk to NPCs? Right-clicking an NPC will begin a conversation with them in your chat box. If you are able to interact with the NPC, you will see one or more response options appear as well. You can select your response by typing its number in chat, or simply clicking on the text response directly in the chat window! I’m trying to respond to an NPC, but I keep getting an “Unknown Command” error. What’s the deal? If you’re seeing this error, it means that you’ve “broken” conversation with the NPC by walking too far away from them. Simply right-click the NPC again to re-engage the conversation. To avoid this in the future, be careful not to move while mid-conversation with an NPC. I’m trying to talk to an NPC, but right-clicking them doesn’t do anything. What gives? If you’re experiencing this, it means you’re actually still in conversation with that NPC - however the dialogue and responses may have been drowned out by other things in your chat window. The best thing to do is “break” conversation by walking a bit away from the NPC, then returning and talking to them again - this should pick up the conversation where you left off. What mods can I use? Currently the only approved mods are Optifine, Schematica, TabbyChat, Sound Filters, Ambient Sounds, and Dynamic Surroundings. Where can I see the world map? I want to get straight to building. How do I get to the wilds? You'll need to complete the Tutorial first. Once you arrive in the spawn city of Nauru, head straight to the Hall of Elders and complete the Trials of the Elders. Once you do, you'll receive free fast travel to Athera, the main continent where you can build on any unclaimed wilderness! Where do I see my quests? Type /journal to put your Quest Journal into your inventory. Right-click it to see all of your active quests. You can also press L to view your quest progress tree. Yes - every NPC town on Atlas has a paid fast travel route option. Speak with a Dockmaster, Caravan Driver, or Airship Captain NPC in any town to view their available routes. Fast travel between Nauru and your NPC Capital (Telaria, Eastwind, or Port Qi'Shen) is always free. 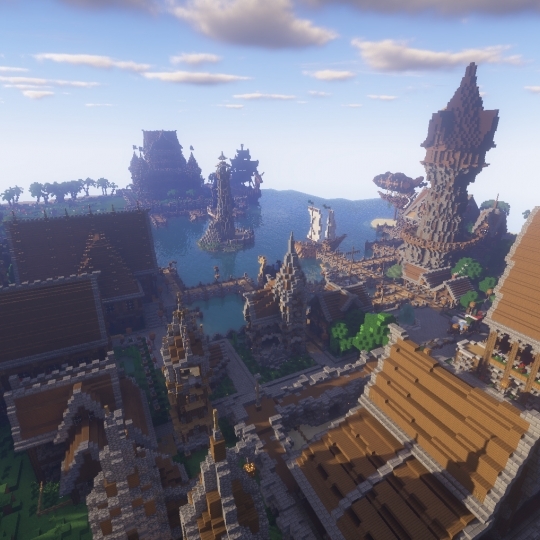 A neutral town inhabited by NPCs, where PVP is disabled. There are currently over a dozen NPC towns on Atlas, each of which acts as a hub for several things including quests, merchants, and fast travel. How do I set my spawn? While there is no /sethome command, you can set your home spawn the old-fashioned way: by simply sleeping in a bed! Joining a Nation will also give you a default home spawn. How do I learn special crafting skills? 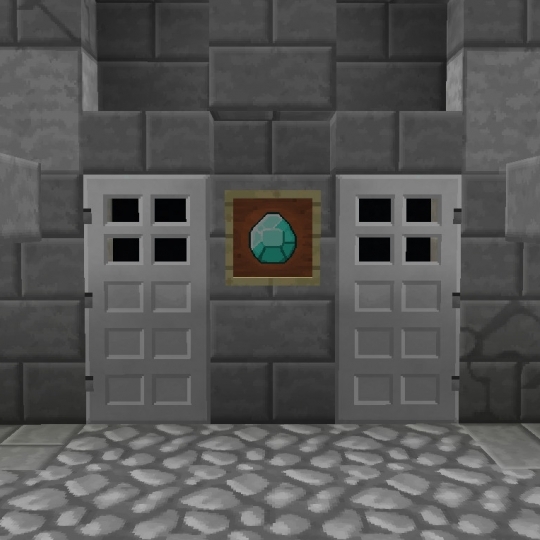 To learn custom crafting skills like Smeltery, Tannery, and Fletchery, you’ll need to complete their respective training quests in Nauru. Ask a Naurulian Guard for directions to the skill trainer you want to learn from! Can I see all the custom crafting recipes listed somewhere? Some skill tutorial quests will teach you a handful of basic recipes, but beyond that, their recipes are intentionally unlisted. These mechanics reward trial-and-error experimentation to discover recipes, as the results are often quite powerful! Also, discovering a recipe is knowledge that can be used your advantage - use it to make weapons and armor that no one else has, or trade your knowledge for other recipes! How do I learn Magic? Like other custom skills, you’ll need to complete the Magic training quest in Nauru - specifically with Archmage Rholla at the Arcane Tower. Unlike other skills, however, players will eventually have to choose 1 of 3 branches to train in: Elemental, Holy, or Unholy. Once chosen, players will be able to continue their training outside Nauru to expand their access to that class’ spells. How do I start a town? You’ll need to found a Nation first, before you can claim land on Athera to settle towns. Check out our pages on Nations and Towns to see the full details on creating and managing them! What’s the difference between a Nation and a Town? A Nation is the first thing that needs to be founded before anything. It is the name of your empire, under which all towns and land will fall under. Alone, a Nation does not provide any land or block protection - but it does allow for its members to found Towns. A Town is an area of land that a Nation purchases and claims. A Town provides block protection within its borders, as well as doors that automatically lock to outsiders when closed. Nations can have multiple Towns, as long as they can afford the daily upkeep costs on the land. Towns can be founded on any available wilderness on the continent of Athera. How do I see more info about another player? Type /find <name> to see a player’s rank and nation info. Alternatively, if they speak in chat, you can hover over their name in the chat window to see info displayed. How do I know if a player is staff or not? Staff members on Atlas have special colored names, and their rank title will be listed if you use the /find command on them. Wardens (orange names), Sentinels (purple names), and Elders (red names) will be happy to help you with any issues or questions you may have.